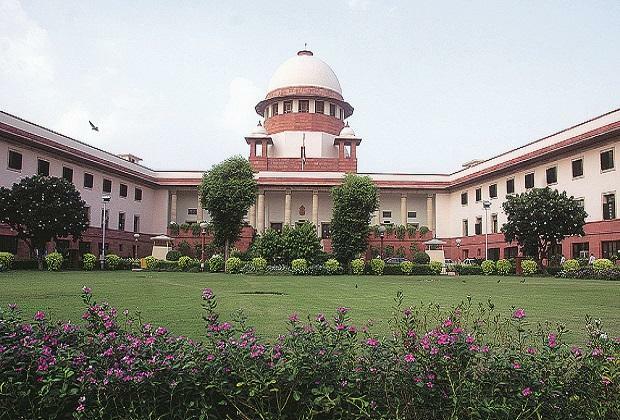 The Supreme Court is scheduled Friday to pronounce whether to refer Ayodhya's Ram Janmabhoomi-Babri Masjid land dispute case to mediation for amicable settlement. Hindu bodies except Nirmohi Akhara have opposed the suggestion of the apex court to refer the issue for mediation, while Muslim bodies have supported it. The bench, also comprising Justices S A Bobde, D Y Chandrachud, Ashok Bhushan and S A Nazeer, had concluded the hearing by asking stakeholders to give the names of possible mediators. Hindu bodies like Nirmohi Akhara suggested the names of Justices (retd) Kurian Joseph, AK Patnaik and GS Singhvi as mediators, while the Hindu Mahasabha faction of Swami Chakrapani proposed the names of former CJIs Justices J S Khehar and Dipak Misra and Justice (retd) A K Patnaik to the bench. The apex court in its Wednesday hearing had observed that primarily the issue is not about 1,500 square feet land, but about religious sentiments. The bench had said it was conscious of the gravity and impact of the issue on "public sentiment" and also on "body politics of the country". It has also said that the judges were aware of the history and was seeing that the dispute be resolved amicably as "It is not only about property. It is about mind, heart and healing, if possible." The bench had also said it was not appropriate to pre-judge that the mediation would fail and people would not agree with the decision. "We are conscious about the gravity of the issue and we are also conscious about its impact on body politic of the country. We understand how it goes and are looking at minds, hearts and healing if possible," the bench said. When a lawyer contended about the injustices meted out to the Hindus by invaders in the past, the bench said, "We are not concerned what has happened in the past. Don't you think we have read the history. We are not concerned what Babar did in the past or who was the king and who invaded. We cannot undo what has happened but we can go into what exists in the present moment". Senior advocate Rajeev Dhavan, appearing for the legal heirs of original litigant M Siddiq, said that outlining of the dispute is not necessary and court can order mediation by an mediator, when parties are unable to settle it. The bench had agreed with the contention of Dhavan that confidentiality of proceedings should be maintained and said it thinks there has to be complete ban on media reporting on the developments of mediation process. "It is not something like gag order but there should be no reporting. It is easy to attribute something to somebody when the mediation process is on," the bench had said. During the hearing, Justice Chandrachud said that considering it is not just a property dispute between the parties but a dispute involving two communities, it would be very difficult to bind millions of people by way of mediation. Two faction of Hindu Mahasabha took opposite stand on the issue of mediation with one body supporting it, the other opposing it. BJP leader Subramanian Swamy had told the bench that the government has the right to give away land to whosoever it wants after paying compensation to the others. "P V Narsimha Rao government had in 1994 made commitment to apex court that if ever any evidence was found that there was a temple, land will be given for temple construction," Swamy had submitted. Senior advocate C S Vaidyanathan, appearing for Hindu deity Ram Lala Virajman had said the faith that Lord Rama was born in Ayodhaya is not negotiable but the question is of Rama Janamsthan (birth place). "We are even willing to crowd-fund a mosque somewhere else but no negotiations can take place with respect of Lord Rama's birthplace. Mediation won't serve any purpose," he said. Solicitor General Tushar Mehta, appearing for the Uttar Pradesh government, had said the court should refer the matter for mediation only when there exists an element of settlement. He said considering the nature of the dispute it will not be prudent and advisable to take this path of mediation.